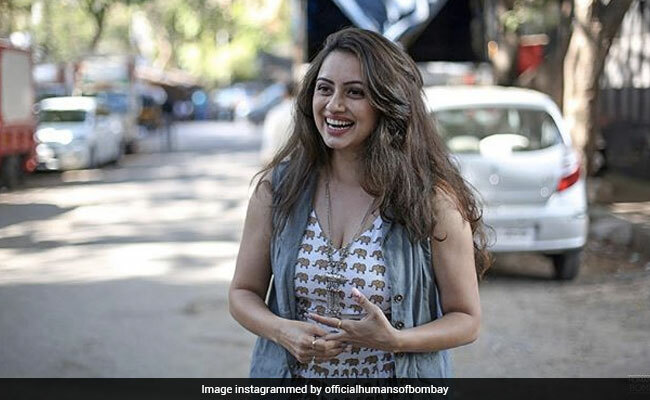 She busted the "misconception" that actors "lead a life full of comfort"
Actress Shruti Marathe, in a post for Humans of Bombay, talked about her brush with casting couch while she was auditioning for a lead role in a film. Shruti, who has featured in Marathi films like Taptapadi and Rama Madhav, wrote that the interview with the producer (whom she did not name) started on a professional note but soon he started using the words, "compromise" and "one night". Shruti Marathe said: "I knew that I couldn't let this slip so I gave it back to him, I asked him, 'So if you want me to sleep with you, who are you making the hero sleep with?' He was stunned. Right after the meeting, I informed the others of his behaviour and they asked him to leave the project." "All it took was one minute of being fearless - that day, I didn't just stand up for me... I stood up for every woman out there who has been objectified and judged for simply being who she is; for simply being ambitious," she added. In the write-up, Shruti also busted the "misconception" that actors "lead a life full of comfort." She talked about the time when the Internet dug up pictures of her in a bikini from an old south film after she gained popularity through a television show. Shruti said that at the time of filming the bikini scene she "agreed without thinking twice" because "getting an opportunity to be in a movie was all that mattered." She said: "I was heavily trolled for the way I looked and how it was shot. Do you know how much damage that does to your self-esteem? I had to brush that aside and continue working as if it didn't bother me." Shruti Marathe's empowering post is currently winning the Internet. The comments section of the Instagram post is flooded with praises for Shruti. "Applauds and more power to her," wrote an Instagram user while another added: "So proud." Shruti Marathe made her Bollywood debut with Budhia Singh - Born to Run and she has starred in television shows like Radha Hi Bawari and Lagnabambaal.